An experienced border patrol and counterterrorism agent who has patrolled both the southern and northern borders has taken the helm at the U.S. Customs and Border Protection sector in Houlton. HOULTON, Maine — An experienced border patrol and counterterrorism agent who has patrolled both the southern and northern borders has taken the helm at the U.S. Customs and Border Protection sector in Houlton. 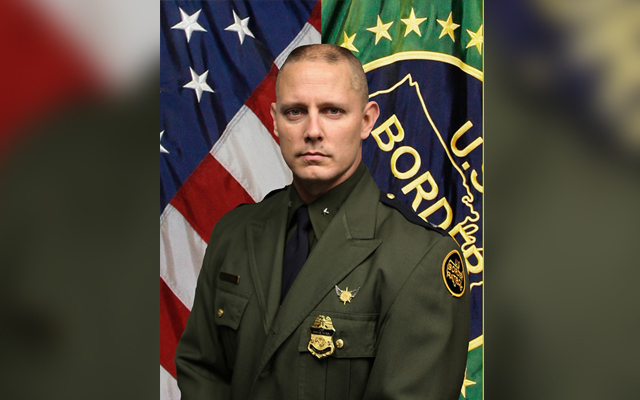 Jason D. Owens became the 26th chief patrol agent at the sector on Monday, according to a press release from Michael McCarthy, spokesman for CBP’s Office of Public Affairs. Owens replaces Daniel Hiebert as the agency’s top commander. Hiebert was named to the post in May 2015. Owens brings more than 20 years of experience and a wealth of education to the position, according to the agency. After graduating from the U.S. Border Patrol Academy in 1996, he was assigned to the El Centro Sector’s Calexico Station. He was promoted to senior patrol agent in 2000 and supervisory border patrol agent in 2002. While continuing his interagency education, he deployed to high profile operations such as the 2002 Winter Olympics in Salt Lake City and to Tucson Sector’s Operation Desert Risk in 2003. In 2004, he was promoted to field operations supervisor at Border Patrol Tactical Unit headquarters in El Paso, Texas where he led several counter-narcotics and counterterrorism operations, including deployments to Honduras and Iraq. Owens was promoted to assistant chief at border patrol headquarters in Washington, D.C. in 2007 with the special operations division. He deployed to Columbia and the Dominican Republic as part of the Western Hemisphere Initiative in 2009, and was later assigned to the Foreign Operations Branch as the acting associate chief in charge of all border patrol foreign deployments and programs. He was promoted and deployed to various stations in the west and from June 2017 to September 2018, he served as acting chief patrol agent of the Laredo Sector. Owens said in a statement that he is looking forward to serving in Houlton and becoming integrated into the community. A nationally registered paramedic, he holds both a master’s degree in accountancy from Shorter University and a master’s degree in national security strategy from the National War College. He is a graduate of the CBP Leadership Institute, the American University Key Executive Leadership Program and the DHS Senior Executive Service Candidate Development Program. He lives with his wife, Doris, and has two children, Blake and Zach.